We've all been there: A pimple pops up seemingly overnight and you need to get rid of it, stat. While it may be tempting to pick and pop it into oblivion, there are plenty of better at-home, DIY ways to deal with acne (even the stubborn, cystic kind) in a way that won't leave you with a scar. Instead, there are a number of natural ingredients that you can incorporate into your skin care routine to get the job done. Here, the experts lay out exactly how to treat even the peskiest pimples at home — no doctor's visit required. It may sound like an old wive’s tale, but icing out your pimples can actually be one of the best way to treat pesky, swollen suckers. "Ice wrapped in a thin cloth applied on and off can help to bring down inflammation as well as over-the-counter hydrocortisone cream for spot treatment,” said Abramowitz. Here's one more trendy superfood that’s made its way into the skin care space. "When used as a physical exfoliator, cooked quinoa can be a gentle scrub — both non-abrasive and friendly to the environment — unlike the polyethylene microbeads contained in some exfoliating cleansers,” said Lortscher, who suggests Pacifica’s Quinoa Sensitive Super Gentle Face Wash for treating acne at home. If your digestive system is upset, it may show itself by way of a breakout. "Try and avoid sugar and dairy as bacteria feeds off of it and, depending on the patients genetic makeup, it can make the acne worse,” said Abramowitz. If you’re seeing a pattern of deep, cystic acne, talk to your doctor to see if it could be linked to your diet. 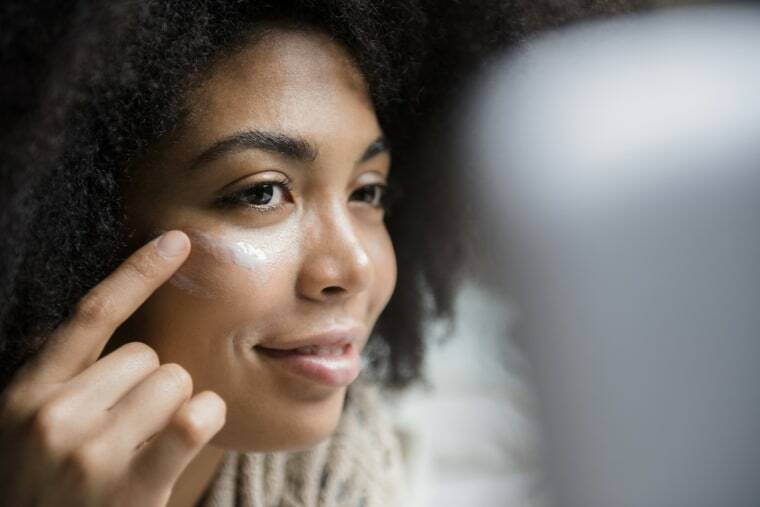 It may surprise you, but applying certain lights to your pesky skin problems can actually be just as effective as applying fancy lotions and creams. "Blue light serves as a disinfectant and helps kill bacteria that causes acne. Red light helps with inflammation,” said Abramowitz. To reap the benefits at home, try an LED mask like the Neutrogena Light Therapy Acne Mask. Coconut oil: "Contrary to popular belief, most oils are well-tolerated on acne-prone skin. However, coconut oil commonly blocks pores. Many people will find that clogged pores and acne breakout begin or are worsened when coconut oil is used on facial skin," said Lortscher. Lemon juice: "Though many believe lemon juice can be a remedy for dark spots, it can cause significant dryness, redness and irritation," said Lortscher. And be sure not to mix lemon and apple cider vinegar, a combo that can cause burning. Baking soda: "Some people try baking soda as a cost-effective scrub or mask, but scrubbing your face with a paste of baking soda is very harsh and would disturb your skin’s natural barrier," said Lortscher. "Your skin could be become red, raw and sensitive, leading to an acne breakout."